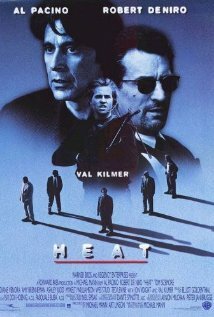 POINTS: Michael Mann is one fine director. Huzzah. PITFALLS: Nope. This was a very well made movie. FEMALE CHARACTER(S): They were all very, well, weak. All were well acted but they all centered on the men in their lives. Now that was their point in the flick, but I did want to lecture a few of them about how they could make their own lives and thus have an easier time with their sweeties. However! All of the women got to have rich character displays even with their limited purpose. Quite good. CULTURAL PITFALL(S): See Female Characters above. 1.) Opening Movie with Close-Ups. Wow. I love it when actors get to carry a movie and do their heart’s work and act. The movie opens with many close-ups, allowing the audience to know and feel these characters. I found it very easy to care about and identify the characters thanks to the close-ups. 3.) The Cast. I am not going to list the awesome cast as that would take up too much space. Just know that many of the greats are in this flick and worth watching. Find the cast here. BECHDEL TEST (Website): 2 of 3. Wow! I didn’t think it would get that high a rating. Huzzah!! RACIAL BECHDEL TEST (Website): 2 of 3 or 3 of 3. I can’t recall if the PoC talked to each other but they were in many scenes together and it was good. DVD/BLU-RAY WORTHY: Yes. That’s how I saw it. LION PAW PRINTS: 3.5. It was very good.